Bringing the Golden Rule to real estate. This is my passion—and my life has brought me to this place. Bringing the Golden Rule to real estate. "This is my passion—and my life has brought me to this place." 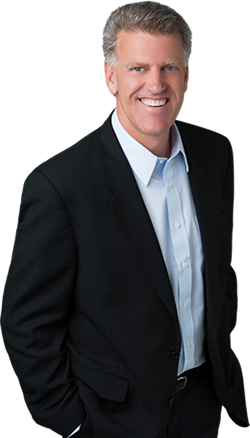 Michael Gerard has an extensive background in real estate, ski resort management, and international sports marketing. He received his real estate license over 30 years ago. In addition, he spent seven years in a leadership role at an international commercial real estate assessment firm whose team evaluated and advised on over $1 trillion in commercial real estate assets. Through all of this, Michael has learned the value of providing exceptional customer service—and his unique background and perspective has allowed him to critically analyze the real estate industry and its practices. Conclusion? He brings a skill set not found among most real estate agents. The Gerard Real Estate team is committed to modernizing the experience of buying or selling real estate. This is about you; and the professionals at Gerard Lifestyle Real Estate are here to serve you, not sell you. Michael knows that consistently exceeding service expectations requires a systems-oriented approach. Property PodiumsSM, is a proprietary home marketing system that changes the game for home sellers. Michael and his team implement a customized, modernized marketing strategy for each new listing they represent—and emergent technologies are leveraged to ensure maximum exposure for every property sold. The Gerard team pledges to be in constant communication with you, the valued client, keeping you fully informed throughout the entire buying or selling process. After all, if you are not left with the complete satisfaction of an amazing experience after the transaction is complete, they have not met their standard for performance. Michael Gerard believes that success is measured through satisfaction of those he serves. One client at a time. If this all sounds personal, that’s because it is. Buying or selling a home is among the biggest, most important experiences in anyone's life. Having the opportunity to share in this experience—and to help you, guide you, and protect you through the process—is what drives the Gerard Lifestyle Real Estate team. Michael Gerard is a member the National Associations of Realtors, the California Association of Realtors, and the Institute for Luxury Home Marketing. His professional designations include the Seller’s Property Specialist (SPS), Resort and Second Home Property Specialist (RSPS), and the National Association of Realtors’ GREEN designation. He is a Luxury Property Specialist serving the South Orange County coastal communities. Finally, Michael Gerard believes it's his responsibility to give back to the community. Through their Pay-It-Forward Outreach Program, 10% of professional fees received by the Gerard team at close of escrow are given to a charity of your choice. We serve a greater purpose—and the Golden Rule is at its core. The Institute for Luxury Home Marketing is the premier independent authority in training and certification for real estate agents working in the luxury residential market. Recognized in luxury markets around the world, Institute for Luxury Home Marketing assures affluent buyers and sellers that member professionals have the knowledge, experience, competence, and confidence they require. The SRS Council provides exceptional training for those real estate professionals who represent sellers with skill and expertise. SRS – Seller Representative Specialist – is the premier seller agency designation, conferred by the SRS Council, recognizing real estate professionals who have completed special education in seller representation. We understand the benefits of resource-efficiency and what makes a property green. And we can help you evaluate the cost/benefits of green building features and practices, distinguish between industry rating and classification systems, list and market your green home or building, and discuss the financial incentives available. Our key objective is to build long-term, authentic client relationships based on trust. This is the culture through which I lead my team. Trust is the core human connection that, ultimately, all transactions are based upon. Shallow, high-pressure sales tactics are not for us. It can all start with sharing a cup of coffee together. It’s your call, though… because we don’t do cold calls.